Sailor SC4000 Iridium Satellite Fixed Telephone System. 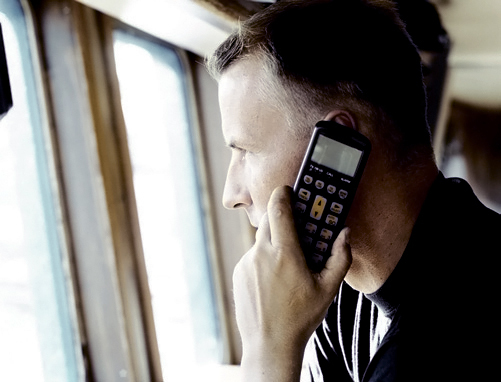 The Sailor SC4000 Fixed Satellite Phone system and Iridium offers exceptional voice and data communications without distortion, signal delays, immobility or inconvenient links. The Iridium system, on which the SC4000 operates, is the first truly global communications system, which means that no matter where you are and who you want to call, you always have 66 Low Earth Orbit satellites at your disposal. This is not only convenient, but, more important, a crucial safety factor. The SC4000 is well-suited for all types of vessels from fishing boats, cargo ships, powerboats, yachts and cruise liners; even in remote areas, both on land and at sea. Whether you are relaxing on a yacht, working on a commercial vessel, or sitting in a remote office the SC4000 puts you in closer contact with the world. The SC4000 provides flexibility in installation and, ease-of-use while withstanding the harshest conditions. 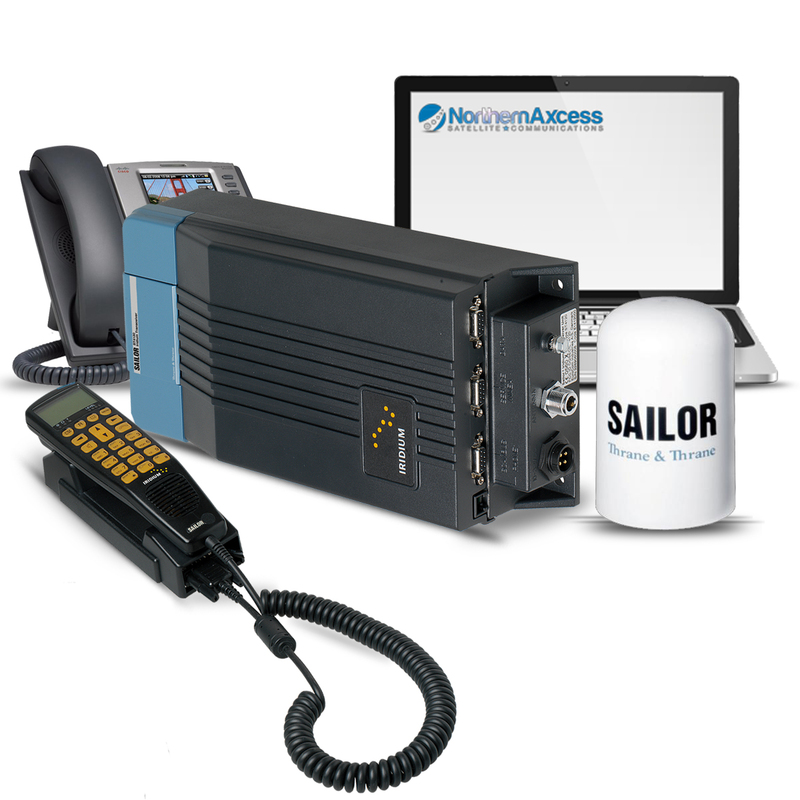 As one of the smallest and most compact satellite communications systems designed for any environment, the Sailor SC4000 is a cost-effective complement or convenient alternative to conventional communications. SAILOR SC4000 Iridium system offers true global coverage and competitive iridium airtime rates, making it the obvious choice for anyone sailing the oceans or along foreign coasts. **Note: We recommend to use the SAILOR N163S Power Supply, 110/220V AC to 24V DC, 7A with this system. Any other power supply used other than the recommended is not supported by us or the manufacturer. You can add it to your purchase for an additional $399.00. Any damage that happened to any Sailor SC4000 unit purchased from NorthernAxcess due to using a non-recommended power supply other than the Sailor N163S power supply, will not be covered by the manufacturer warranty and it will be considered user error damage. INTELLIGENT HANDSET: The Sailor SC4150 is a handset and control unit in one. It features a logic menu structure and is easy to use as it is operated in exactly the same way as a conventional mobile phone. It can operate with as many as four handsets, making it possible to use the system anywhere on board. ANTENNA: The SC4000 cobham antenna is very sturdy. It has no moving parts, and the helix construction is coated with glass-enforced epoxy, which is highly weather-resistant and able to withstand the extreme conditions at sea. The fact that the antenna can always ”see” three satellites ensures good contact at all times and guarantees a clear signal irrespective of the distance between the communicating parties. Up to four advanced SAILOR SC4150 handsets can be connected. Other connections include RS232 serial interface for PC and NMEA input. The standard data capability of SAILOR SC4000 Iridium system is 2.4 kbps and can be turned up to 10 kbps by accessing Iridium's 9.6 kbps compressed data service. Beside basic e-mail exchange, it supports the PC based Iridium SMS service for short text message communication with other Iridium phones. SAILOR SC4000 Iridium supports a wide selection of crew calling plans and prepaid scratch-cards so you can provide an on-board telephone box. Each crew member can manage and control their own costs directly, so you will not have to worry about individual billing and administration costs. SAILOR SC4000 Iridium is designed specifically for the harsh maritime environment and features an antenna with no moving parts and an easy to install and access transceiver in a metal housing. Experience reliable operation regardless of weather conditions. The easy menu navigation and large LCD display of the handset offers simple, intuitive operation whilst the ability to add a PABX means that you can use any phone on-board to make Iridium calls. SAILOR SC4000 Iridium is Ship Security Alert System (SSAS) compatible with the addition of the SAILOR H4122 SSAS kit, without the need for signing up to any other subscriptions. Also this unit can deliver GPS positions or be tracked at any time within regular intervals configured on ship or from shore; ideal for fleet tracking and improving vessel efficiency. 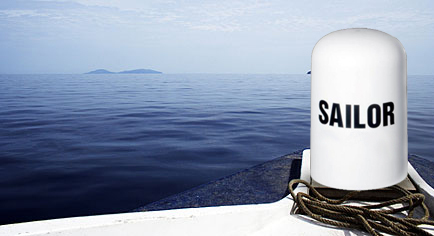 With the dedicated SAILOR Iridium SSAS Box and alert buttons connected to the SAILOR SC4000 Iridium System,the IMO requirements for an SSAS system(Ship Security Alert System) can be fulfilled. SC4000 IRIDIUM TERMINAL, TRUE GLOBAL COVERAGE AT SEAS AND LAND! Click the button below to add the Sailor SC4000 Iridium Satellite Telephone System to your wish list.